Kai qualifies for Trials with an MQT in the 200 IM. 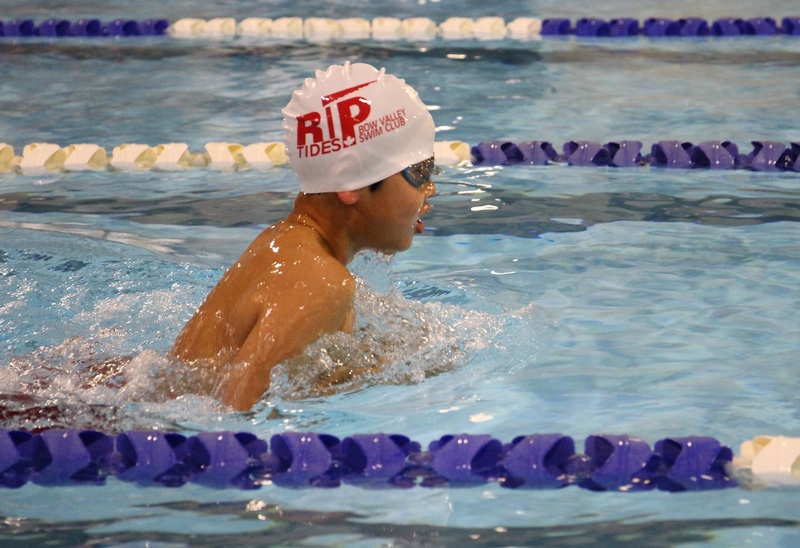 The Riptides travelled to BC to attend the Triton Swim Club’s first ever Invitational swim meet and competed against teams from Elk Valley, Radium, Lethbridge, Nelson and Cranbrook. Kai qualified for the Alberta Age Group Trials in June by achieving the 11&U standard in the 200 IM and he joined with Andrew, Anthony and Zephan to break two club records in the 10&U boys 200 free relay and 200 medley relay. This entry was posted in Meet Results and tagged Alberta Age Group Trials, Columbia Valley Otters, Cranbrook Tritons, Records, Swim Meet by bowvalleyriptides. Bookmark the permalink.